With all the health scares, liver has gotten a bad rap lately. 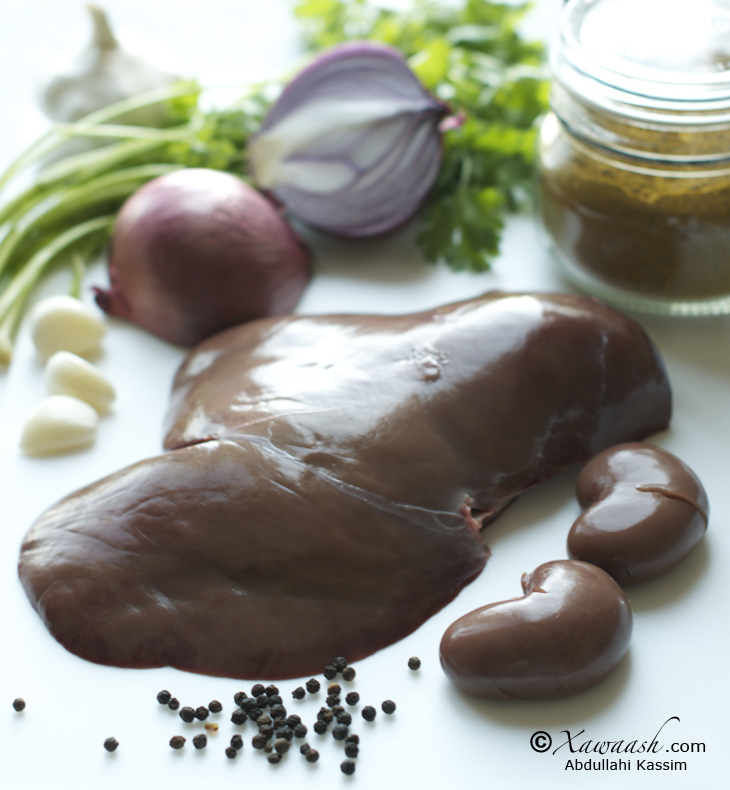 There is a lot of misinformation floating around about the dangers of eating liver. 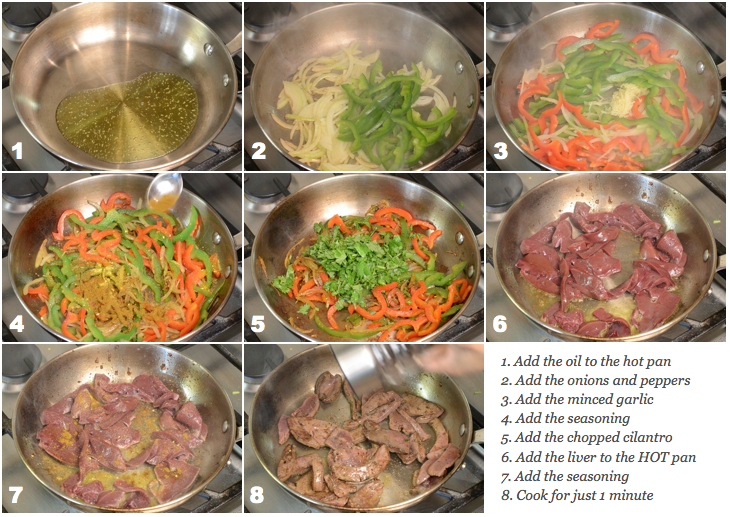 Apart from being a superfood, liver prepared the right way is very delicious. When it comes to liver, it is good to follow these guidelines: a) buy fresh liver, b) eat in moderation, and c) don’t eat it too frequently. Well, if you look at those guidelines, they are equally applicable to red meat. Most of us are guilty of eating too big a portion, eating it frequently, and not caring too much about the quality of the meat. We eat liver about once or twice a month and we buy it from a local butcher shop that sells the freshest liver. 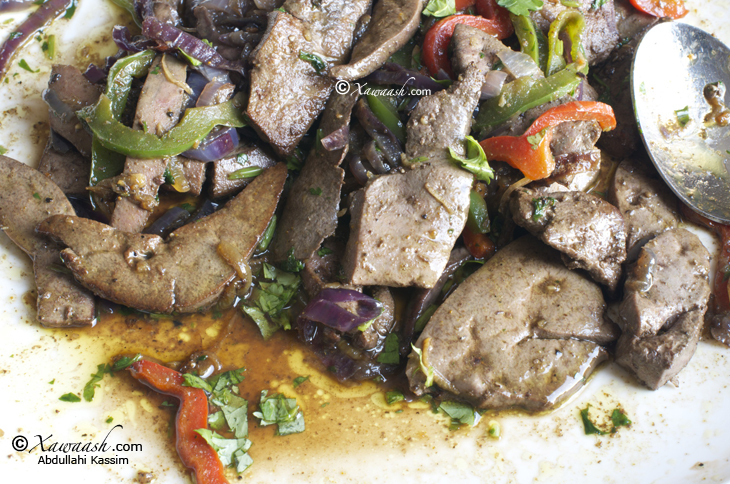 Like most Somalis, we prefer goat and lamb liver, but occasionally we have calf’s liver. 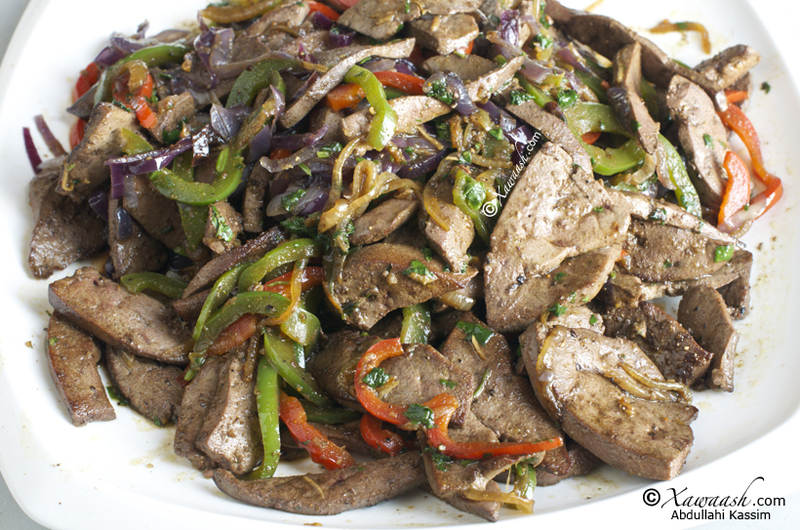 We also love camel liver with a bit of hump fat (kurus in Somali) but for the time being all we can do is dream about it! (We can already hear the oohs and aahs from those that understand). The best way to turn people away from liver is to give them overcooked liver that tastes dry and bitter. 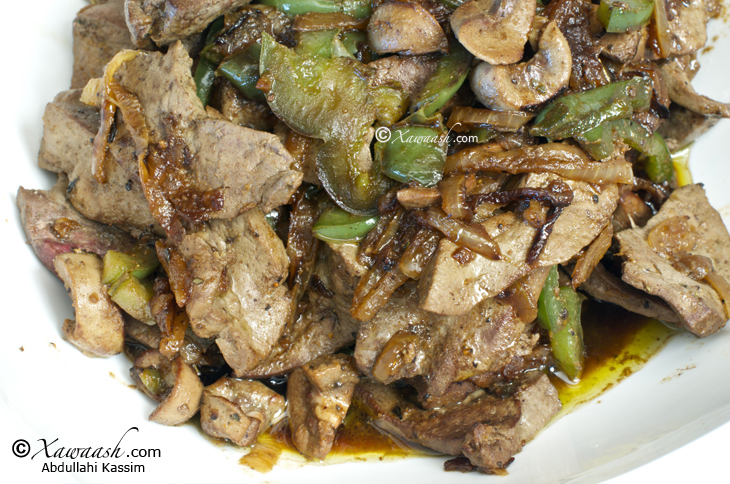 Liver that is cooked properly is moist and sweet. Liven it up with colourful veggies like green, red, and yellow bell peppers and top it with caramelized red onions and you will have a dish that is both delicious and looks appetizing. Avec toutes les alertes sanitaires, le foie a mauvaise réputation aujourd’hui. Il y a beaucoup de désinformation qui circule sur les dangers de consommer du foie. En plus d’être un super ingrédient, le foie bien préparé est vraiment délicieux. Pour manger du foie, il suffit de suivre ces consignes: a) acheter du foie frais, b) manger avec modération, et c) ne pas en manger trop fréquemment. Bien, si vous regardez ces recommandations, elles s’appliquent aussi à la viande rouge. La plupart d’entre nous sont coupables de manger de trop grandes portions, d’en manger souvent, et de ne pas se préoccuper de la qualité de la viande. Nous mangeons du foie une à deux fois par mois et nous l’achetons à notre boucherie locale qui vend le foie le plus frais. Comme la plupart des Somalis, nous préférons le foie de chèvre ou d’agneau, mais parfois nous prenons du foie de veau. Nous adorons aussi le foie de chameau avec un peu de gras de sa bosse (kurus en Somali) mais pour l’instant nous ne pouvons qu’en rêver! (Nous entendons déjà les oohs et aahs de ceux qui connaissent). Le meilleur moyen de dégoûter quelqu’un du foie et de lui servir un foie trop cuit qui a un goût sec et amer. Le foie qui est bien cuit est juteux et fin. Égayez le avec des légumes colorés tels que des poivrons verts, rouges et jaunes et garnissez-le d’oignons rouges caramélisés et vous aurez un plat qui est à la fois délicieux et à l’aspect appétissant. 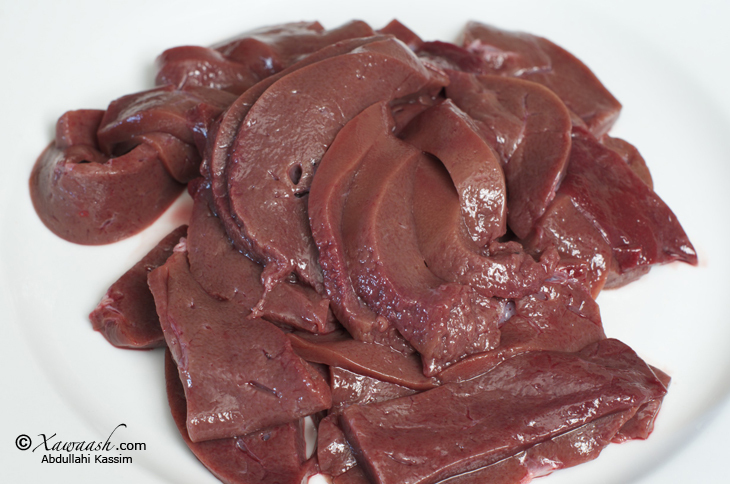 Remove the membrane from the lamb liver and cut into slices of about a ¼ inch thickness. Place the cut liver in a colander and rinse under cold running water until the water runs clear. Cook using one of the following two methods shown in the video above. Beerka gaballo ballaaran u-jarjar, kaddibna biyo qaboow ku-dhaq. Daawo fiidiyaha sida loo kariyay. Waxaan isticmaalnay labo hab kala duwan. Retirer la membrane du foie d’agneau et couper en tranches d’à peu près ¼ de pouce (0.6 cm) d’épaisseur. Placer le foie découpé dans une passoire et rincé à l’eau froide jusqu’à ce que l’eau soit claire. Cuire d’une des deux façons montrées dans la vidéo ci-dessus. Wacalykum assalaam. Bilhana wash-shifa. Your family is lucky to have you. However, we would suggest that you serve liver just once a week. P.S i am your biggest fan!! Thank you very much, Fay. We are happy that you liked the website. Now, where are we going to find camel liver with kurus? A trip back home is long overdue! I Admire you guys masha Allah, keep doing this show, Ilove it it makes day going ima learning so many kind of foods masha allah, my family who teach this style i hide it and ima checking everyday in your website, ima showing other people even not a somali speakers, they love it, its great i like halwa, and sasame, mandazi, its great. if you can try baklava waa macmacaanka carabta balse if you know it i love to see it.. Thank you god pless you guys. Thank you very much sister Sameera. God willing we will post the recipes that you requested. 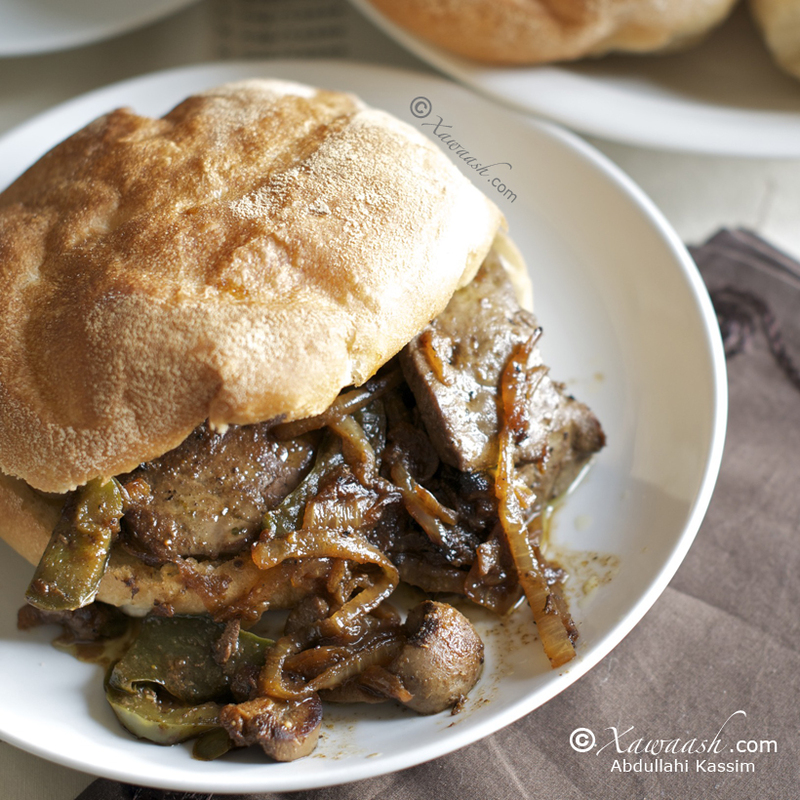 We have a lot of great Middle Eastern recipes that we hope you will like. What is the side effects of eating liver quite often, I mean more than twice a week???????????? Based on our reading, liver contains high levels of vitamin A. Overdosing on vitamin A can be harmful, particularly for pregnant women. There are other “experts” who would tell you that you can eat liver as much and as frequently as you want. However, moderation never hurt anyone and we should use that with all types of foods. Watching some of ur vids, I noticed that u use vegetable seasoning on almost every dish; is it better than “maraq digaag”? Or is that what u prefer? 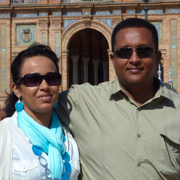 I live alone, so I rarely cook, and when I cook, it’s always foreign food or Somali rice. Thanks a lot, and btw I like the website, I blog sometimes about electronics and all all things academic. We call Maggi, Knorr, Vegeta, etc., “maraq dajaaj” because that is the popular name for them (just like we use Hoover to refer to all vacuum cleaners, Frigidaire for all fridges, etc.) You could use vegetable or chicken or beef seasoning salt, and you can use any brand you prefer. We use Vegeta Seasoning Mix because they have a type without MSG. Thanks for the question. They say that MSG is a toxin. Many Chinese restaurants in North America make a point of letting their patrons know that there is no MSG in the food. We like salt and we use it in some recipes. The vegetable seasoning has other flavour ingredients in addition to the salt. and I hope that we will see more from you. I hope the best for you too. BYE inn sha allah we will learn from you. Thank you for your comment, Nimco Qurux. We wish you all the best. Waan tarjunnay, hadduu Ilaahey yiraahdo video-hana waan tarjumi doonnaa. Mahadsanid. walaal aad ayad u mahadsantahay beer waan karin jirey lakin sidii larabo ma noqonjirin, marka maanta ayaan isku dayey sidatan marka aad ayuu u dhadhamey sidii hore. Waan ku-faraxsan nahay inaad jeclaatay waana ku-mahadsan tahay inaad nala socodsiisay. Qayr ayaan kuu rajaynaynaa. 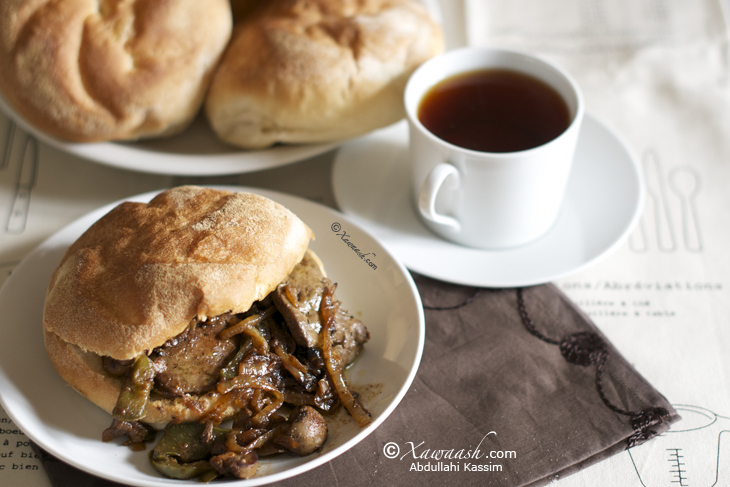 Maashaa-Allaah love this dish and love making … !! Let us know if you like it. Thank you. OMG i really like this website it is really cool bt what if u cant get cilantro around u and grond pepper.what else can i use. Thank you for your kind words. You can use parsley instead. You can grind your own black pepper, and if you can’t find any then use hot chili pepper.